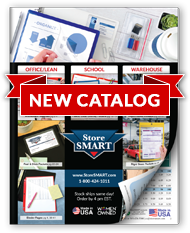 StoreSMART offers a simple defense: Anti-Theft RFID Blocking Sleeves, to help block the signals that expose your important information to illegal scanning. Made of copper paper with aluminum coating, these sleeves block the signals that expose your important information to illegal scanning. StoreSMART's Anti-Theft Blocking Sleeves are made of reinforced materials, much more durable than the basic paper RFID blockers you may see elsewhere. The best part? This kit includes a StoreSMART Zipper Passport Holder with Lanyard, to keep your information safe and secure in one place. Crystal clear Zipper Passport Holder Insert Size: 4 1⁄8" x 5 5⁄8"
RFID Blocking Credit Card Sleeve: 2 ¼" x 3 ½" for credit cards, debit cards, and drivers' licenses. RFID Blocking Passport Sleeve: 3 7⁄8" x 5 ½" for U.S. passports. Simplify airport check-in by carrying your ID, tickets, and reservations around your neck. No more fumbling through your carry-on luggage for what you need. Ensure your children’s safety by having them wear their ticket or ID around their necks. Foil pickpockets by keeping your jewelry, medications, keys, and credit cards out of their reach. For maximum protection, wear your Passport Holder under your outer layer of clothing. When you visit conventions and trade shows, stow business cards and other promotional materials inside your holder. When you get home, all of your new contact information will be in the same place.